The Dragon (Kingdom) district has been slain. 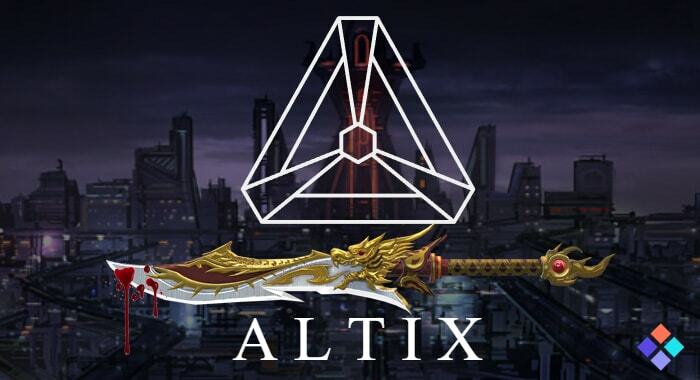 According to district leaders, Dragon Kingdom has been renamed, and will now be known as ALTIX district. Whether the district name will be changed on the official Decentraland map is still unknown. The rebrand has been swiftly followed by the launch of the brand new website, Altix.City, where original contributors can now claim their district ownership tokens. The ownership model appears to function identical to the Dragon City district. You can read more about how the district tokens work here. Not only has the district rebranded, but the ALTIX team seam to be one step ahead the game by becoming the first to include a model marketplace on their website. It appears to still be under construction, however, amongst other items you can buy your very own 3D rocketship for 2 ETH! To the moon! It is a very real sign of progress to see the first Decentraland model marketplace emerge, and this approach to buying and selling in-game models will likely become more commonplace as the community and demand grows. It is a curious decision to rename a district of this size at this stage of the Decentraland project. It appears the district leaders may have thought that it would be best to rename the district prior to the official launch. A name like ALTIX would also be more globally appealing, rather than appearing to only focus on the Chinese community, which the word ‘Dragon’ can sometimes insinuate to those residing in the west. As yet, it is unclear whether the roadmap and plans for the district design have changed from the original proposal. Build To The Beat - The Decent..